Jamil is founder and president of Spectrum Media, an award-winning producer and director of educational videos and documentaries, and an expert in development communications. 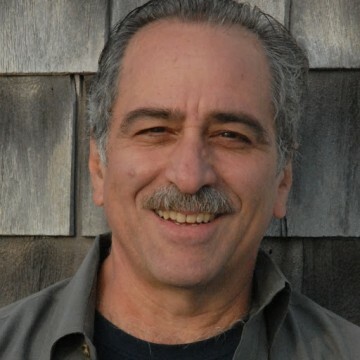 He has produced many films and videos on teaching and learning for organizations such as Harvard University, MIT, Oxfam America, WGBH and Children’s Television Workshop. He has produced and directed documentaries on topics ranging from science education and early childhood development to environmental and energy conservation. He also designs and implements communications programs to promote reform in developing countries. He designed public awareness programs to support democratization in Mali, water conservation in Tunisia and conflict resolution education in Jordan. He has also worked on environmental reform in Malawi and Madagascar. He has worked for several donor organizations, including USAID, DFID, Asia Development Bank and the World Bank. Jamil spent most of the past year in Haiti, working for USAID as an advisor to the Haitian government to help improve communications between the government and the people, following the earthquake. Mr. Simon has continually championed the use of multimedia tools to advance conflict resolution education around the world, and has produced several projects to promote peacebuilding and reconciliation. He is currently in pre-production on a documentary about the peacebuilding process in Burundi. In addition, along with a team of curriculum developers, media producers and communication specialists, he has developed the Peace Teaching Project to make multilingual, video-based conflict resolution training materials accessible to educators everywhere, especially those in developing countries. Jamil is also an accomplished photographer.